We know you have been anticipating the big medal reveal and here it is! Get ready to sparkle and shine as you cross the Queen Bee finish line! Half Marathoners can “sparkle and wine” with this shiny new bling that doubles as a wine stopper. Wear your medal with pride and a glass of wine in hand! 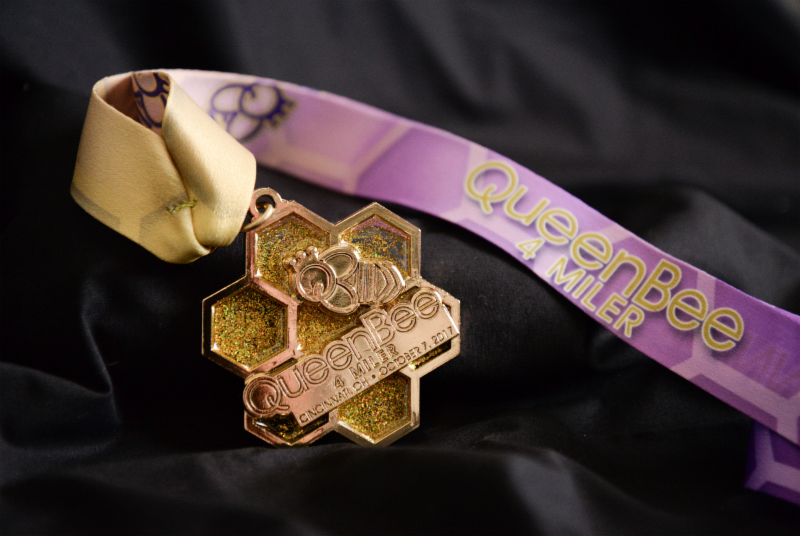 4 Milers, your medal will glow as bright as all of you Queen Bees! Stay tuned to our Facebook page for more updates on race premiums and ways you’ll be pampered all weekend long! 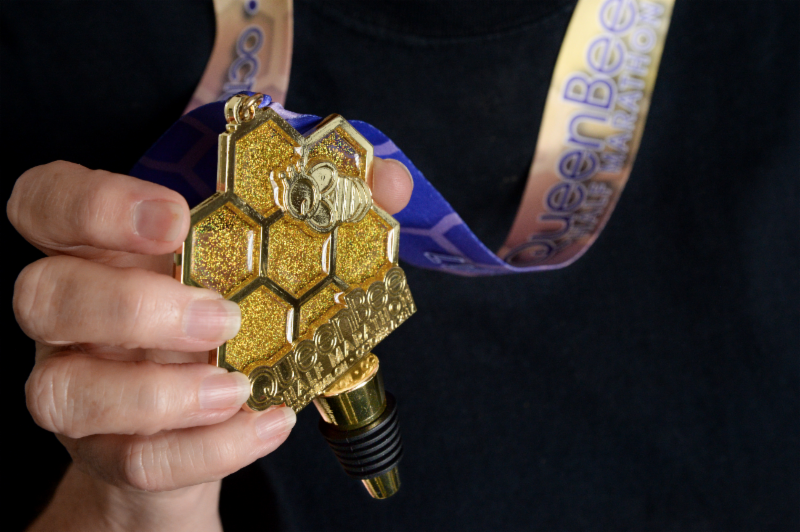 The 2017 Queen Bee 4 Miler Medal is glowing just like all of you Queen Bees!